Bards actually have really good will saves. Even if you have the common sense of a rock. New comic, Joph is gonna be pissed. How tranquil, though not entirely unpredictable. That was a panel, not a strip. He dodged the rage-bullet this time! 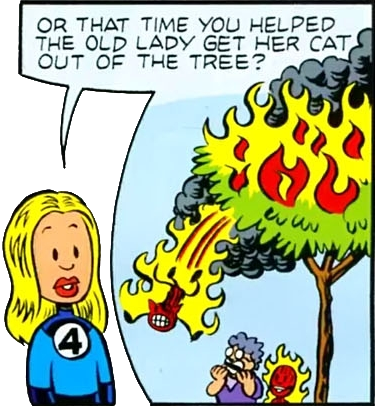 Maybe this panel will make up for that one. Funny how Nale figured out he was in a dream/illusion so quickly. It's kind of sad when you expect failure so much that not failing breaks reality for you. Why not? Success broke reality for Elan. Looks like we're either going to get the "Help me, Obi-Wan" message, or a notice that the gate is guarded by a giant monster. Actually, I think that's the Azure City team's alarm going off and them letting Haley know. So they're probably really close now. Looks like Sapphire Guard garb. I'm guessing a warning about Xykon. Either Girard created an un-scanable illusion spell, or it's actually under the floor below the giant block. If the block is hollow and lined with lead, it would block everything they used on it. There's also the remote chance that it might actually be sealed between Girard's statue's asscheeks. statue of a midget in a polka-dot turban. New comic up. Roy uses his architecture skillz. Ooh, a good one too! And Xykon's gonna be pissed. Huh, I somehow missed the one before these two ... well, one and a quarter I guess. Double cliffhanger, bleh.